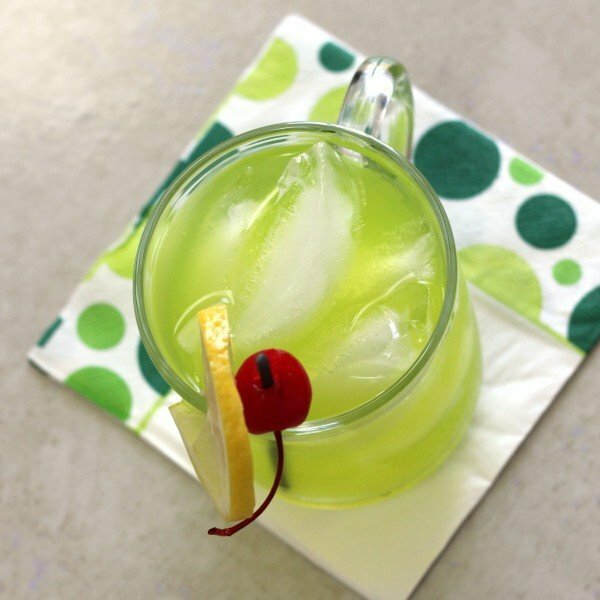 The Neon Tea cocktail, like the Long Island Iced Tea cocktail, throws a bunch of white liquors in together and disguises the surprising strength of the alcohol in a beguiling sweet flavor: in this case, sour apple schnapps. The taste of the Neon Tea starts out nicely tart-sour, and mellows as you finish. 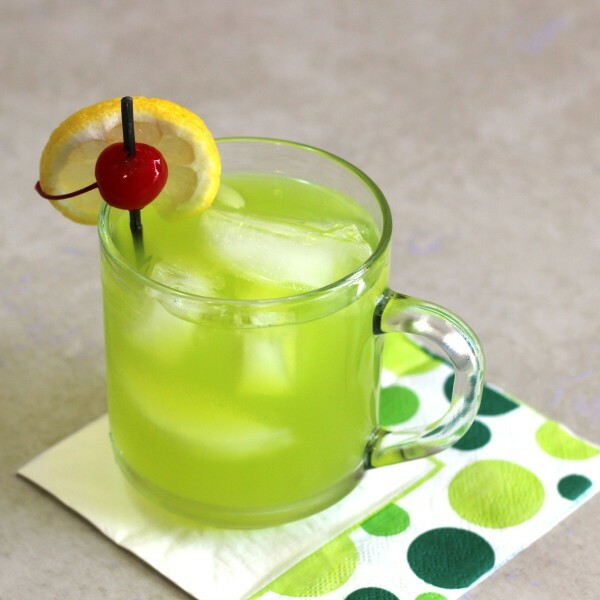 It’s a really fun drink, ideal for sipping along with a meal or enjoying on a night out. Shake all the ingredients together with ice in a shaker until chilled. 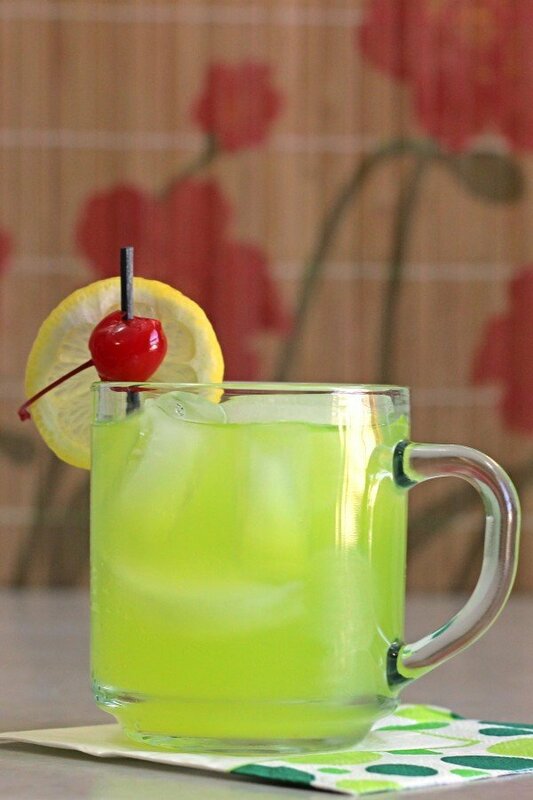 Fill a mug with ice, and strain the mixture into it. Garnish with a lemon wheel or a cherry.